If smart city projects grab your attention, you will probably have noticed information about smart lighting. Besides being one of the biggest advantages in smart cities, lighting projects also offer some interesting job opportunities. Aspiring engineers, architects, developers, sensor experts and so on, can participate in improving the city in which they live. So, if you are a job seeker with some of these skills, you can help to improve your area’s safety and efficiency. As urbanization of cities is accelerating, environmental, economic, and social challenges often appear. However, focusing on diversity and innovation, such challenges can lead to solutions. Smart Cities use innovations in communications and digital technologies, data sharing and analysis, and intelligent design, to make cities more livable, economically sound, and sustainable. From street lights and overpower meters to traffic signals and beyond, these smart sensors and devices, in combination with an open, connected infrastructure can create an intelligent way to save energy and streamline operations, thus creating a happier and safer environment for citizens. Why is Smart Lighting Technology Important for Smart Cities? Lighting has an important role since it can transform an area’s visual appearance, and make urban areas more accessible, usable, and safe at night. Compared to alternative city services, lighting is arguably the most noticeable when it comes to a place’s identity and character. Lighting installments also have a unique role since they can serve as the backbone for a common services management infrastructure. The integration of light and data can transform a city into a Smart City. 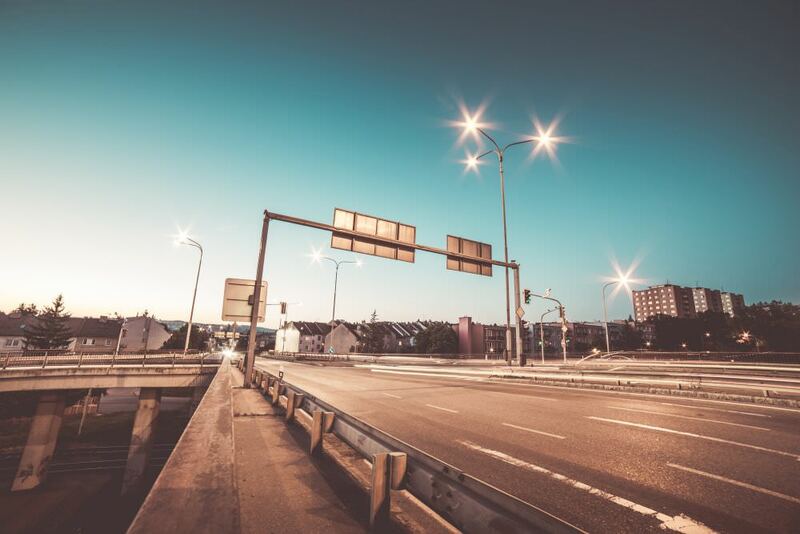 By turning previous generation light poles into intelligent lighting systems, today’s technology can save cities up to 80% of energy and 50% in maintenance costs. Intelligent street lighting systems can help cities save energy and create a safer urban environment, while simultaneously protecting the environment. Today, many cities, and private and public organizations, are using dynamic LED lighting in new and unique ways. These lighting installations not only serve the purpose of providing light. They can also impact the future of cities by influencing an increase in tourism, economic development, community pride, and neighborhood revitalization. With the use of LED lights, power consumption can be reduced by over 60% when compared to classic lamps. Since the replacement in the typical home has already emerged, one step further for Smart Cities development is to replace streetlight lamps with a LED equivalent. Their advantage lies in the fact that LEDs are brighter than conventional light sources, have longer lifetimes and lower maintenance, and also provide increased safety and security in public spaces. Energy consumption is another crucial factor. For example, European streetlights alone use around 60 terawatt hours (60 billion kilowatt-hours) of electricity every year; this equals 2.5% of the entire European Union consumption. A smart grid street light with dimming capabilities and on-demand light levels. Concealed placement speakers within light posts for music, announcements, and alerts. A push to talk button that can connect people with an emergency call station. Image sensors used for homeland security and counting pedestrians to gauge flow, among other advantages. Digital signage could be used for wayfinding, alerts, civic information or even as a revenue stream. Working with open data and the establishment of a digital infrastructure in the city is the main focus since it is related to 50% rollout of new LED-based city street lighting. Street lighting modernization could reduce energy consumption by 70% and thus save the city 2 million euros annually on electricity. A smart parking application could result in monetary savings for the city council and enable development costs to be recovered in less than 2 years. Reducing energy consumption and costs are not the only benefits of smart street lighting: it can also add to the safety of citizens. Street lights could, for example, become brighter when movement is detected, so it becomes clear from a distance that traffic is approaching. Another example is to use street lights to indicate when an ambulance or fire truck drives through (e.g. by changing the color of the light), which could save time and more importantly, save lives. Authorities, private sector companies, and supranational institutions such as the European Union (EU) are actively promoting the digitization of urban infrastructure. In Germany, about 15 EU tenders were closed for PPP (public-private partnerships) street-lighting projects and in the United Kingdom more than 20. The European Commission has launched the European Innovation Partnerships on Smart Cities and Communities (EIP SCC). Between 2014 and 2020, Horizon 2020, the research and innovation program, will make roughly €80 million available in funding. A series of pilot projects have already come into force, trying to make some changes. Hampshire in the UK has taken advantage of intelligent light systems. The county is using street lights that inform local authorities when to salt roads in winter. The new lamps are fitted with a smart control central management system, which has the ability to predict and monitor localized road surface temperatures, producing information to assist those working on the ground. Wintersense, the Met Office, Mayflower, and Amey have developed a solution to utilize weather station sensors and road surface temperature sensors on this test route, monitoring the temperature on the roads in real time. Wintersense is an Internet of Things-inspired (IoT) road surface temperature sensor that uses infrared technology to read the road surface temperature. Then, using Wi-Fi to connect to the street lighting network, the data is passed in real-time to a cloud system. Data from the trial will be analyzed and published so that other cities can view it and decide if it would be beneficial to them. Cisco Systems has started a Smart City initiative by signing a memorandum of understanding with the city of Hamburg in April 2014, in order to create a series of pilot projects focusing on smart traffic, smart street lighting, infrastructure sensing and remote citizen services. Smart lighting doesn’t just apply to the street and public light improvement. For example, The Edge, in Amsterdam, is not only the greenest office building in the world but also the most connected. It is a living lab for innovative applications of the Internet of Things in office environments. The building has a floor space of 40.000 m2, houses 2.500 people and is equipped with 30.000 sensors. The majority of these are integrated in a revolutionary new lighting system consisting of 6.000 luminaires. The LED lighting is connected via Ethernet cables only, providing both Power over Ethernet and IP network connection. Each luminaire has its unique IP-address and is equipped with sensors for infrared, ambient light, temperature and humidity. When the sensors detect a user, the lighting and cooling at that spot is automatically adjusted. All smart solutions contribute to energy efficiency, security and convenience. To implement successful Smart City lighting projects, cities must have the right people with the right competencies and levels of experience. All technological advancement exploits human potential, in particular, the knowledge workforce. Following this approach, the focus on education and centers of higher education will create more highly educated individuals. School systems in cities that apply open digital infrastructure stand to benefit the most. Not only will their students be able to develop solutions on simulated data sets, but they will also have the opportunity to make their solutions real and thus improve the cities in which they live. This is highly motivating for students as they will get to see how their classroom work becomes a reality in the world around them. This is a significant step toward creating an entire generation of students who are concerned, active, and engaged for years to come. As the world is changing, the skills that are needed now are different from those previously required. From open minded engineers and architects creating the plan for smart lighting installments to motivation enriched developers and sensor experts, the knowledgeable youth is yet to come into focus. One of the schools to watch closely is IMD business school. It is based in Lausanne (Switzerland) and has an Executive Learning Center in Singapore. IMD is a top-ranked business school, recognized as the expert in developing global leaders through high-impact executive education. The school is 100% focused on the real-world executive development and offers Swiss excellence with a global perspective. IMD is ranked first in open programs worldwide (Financial Times 2012-2015). By exploiting the potential and opportunities of smart city lighting projects, future developers and leaders can help brighten the future of digital cities. Street lights are having a bigger effect than ever in today’s smart cities. With street lights creating a network canopy, the provided data can be exploited by more than just lighting departments, empowering even schools and businesses via a lighting infrastructure. The importance of smart lighting projects lies in helping cities to save energy, lower costs, and reduce maintenance. By taking this significant step further, not only major energy savings will be realized but also new services for citizens. This means that placing the trust in these systems will make the cities expand together with people’s futures.